In recent years there has been significant developments in residential building. There has been a push towards modular, prefabricated, and technological sophistication. 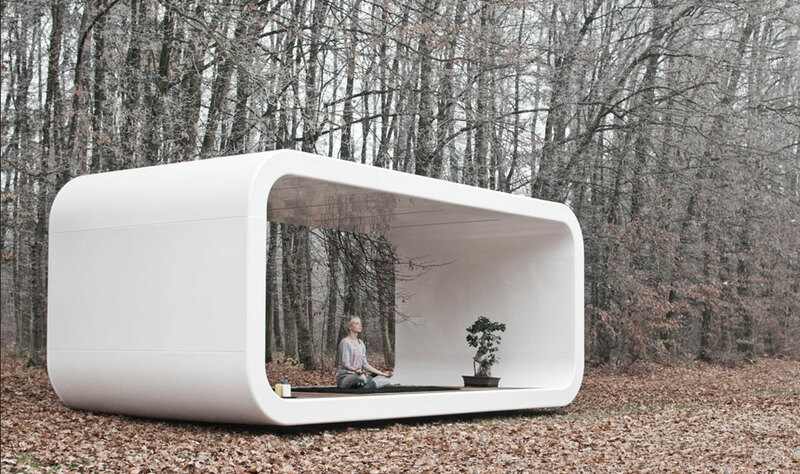 Coodo, the German design firm, has pioneered a portable living system with the capability of being exposed to various climatic conditions. With the use of contemporary building materials and advanced technology, Coodo has created a set of five modular units dedicated to modern design. Each unit; the multifunctional pavilion, pergola, summer kitchen, mobile living units and residential building, have the ability to be customized, creating a unique user experience. In fact, the unique customization prompted the names of each unit to include the word “my.”The “My Vacation Mobile Living Units” in particular use a wide range of contemporary building materials, which allows the unit to be exposed to various climates. Each unit is a combination of corian, Alucobond aluminum composite, Alucore, polyester, and wood. The use of natural looking materials allows the unit to blend in with the natural surroundings. Unlike aluminum composite, Alucore® features a unique honeycomb core that makes it the ideal material for roofing due to its ability to be exposed to extremely high wind conditions. Additionally, each unit is fully furnished with custom-made furniture, self-sufficient energy technology, and a distant monitoring system/smart house. The combination of modernized building materials, technology, and design make these units truly one-of-a-kind.